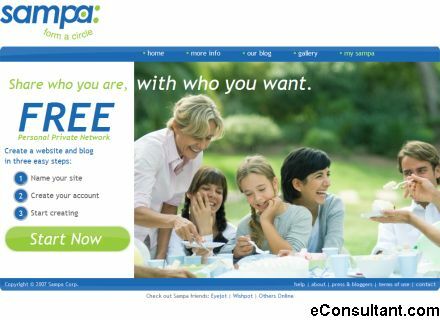 Description : Sampa allows you to easily create a blog and a site. You can upload pictures, have multiple blogs, lists and integrate content from YouTube, Flickr, Blogger, Del.icio.us and more without any programming, giving you great flexibility to integrate all your web content into a single place. Sampa also allows you to define any level of privacy and protection to your content and create your own social network so your friends and family join your site, not a generic social network.